The Foreign Investors Council and the Government of the Republic of Serbia have formed a Working Group tasked with implementing the recommendations contained in the FIC’s “White Book”. 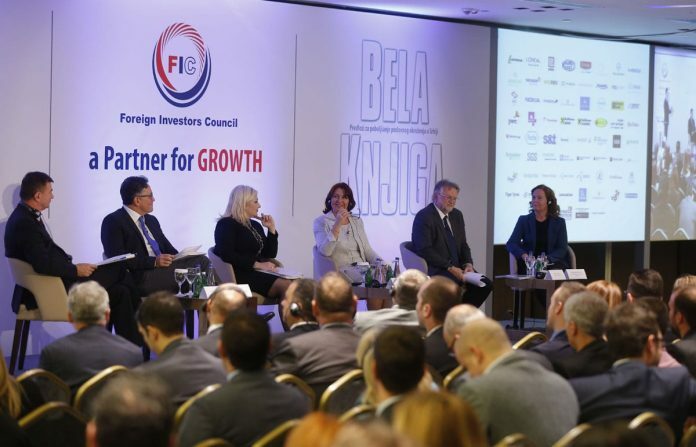 “The key goal of the working group, through the implementation of the recommendations of the “White Book”, is to improve the competitiveness of the Serbian market and in that way encourage the expansion of existing investments and the attracting of new ones, contributing to economic growth and the reduction of unemployment,” said FIC President Jana Mikhailova. She praised cooperation with the government and expressed her conviction that the formation and effective work of the Working Group will contribute to increasing the level of implementation of White Book recommendations from the current 35-45 per cent to 50 per cent annually. According to Zorana Mihajlović, Serbian Deputy Prime Minister and Minister of Construction, Transport and Infrastructure, Serbia’s inclusion among the top 10 countries for carrying out the most reforms on the World Bank’s Doing Business list shows that reforms in Serbia are being implemented successfully. As an example, she cited the introduction of electronic building permits, which are now issued in an average of six days. “Through joint work with representatives of industry, Serbia has advanced more than 40 places in two years on the Doing Business list. The formation of the working group for the implementation of recommendations from the “White Book” is a way to work together more efficiently and to even more quickly improve conditions for doing business in Serbia,” said Mihajlović. 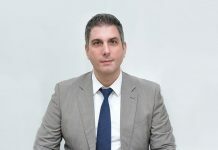 Presiding over the working group will be Serbian Prime Minister Aleksandar Vučić, with Deputy Prime Minister Mihajlović to be the vice president, while it will also comprise six ministers of economic departments, members of the FIC Board of Directors and the Council’s Executive Director. The working group will establish expert sub-groups that will consist of chairmen of the working committees of the FIC and representatives of state institutions. The Working Group includes: president – Serbian Prime Minister Aleksandar Vučić; vice president – Deputy Prime Minister and Minister of Construction, Transport and Infrastructure, Zorana Mihajlović; Deputy Prime Minister and Minister of Trade, Tourism and Telecommunications, Rasim Ljajić, Finance Minister Dušan Vujović, Economy Minister Goran Knežević, State Administration and Local Self-Government Minister Ana Brnabić, Agriculture and Environmental Protection Minister Branislav Nedimović, Labour, Employment, Veteran and Social Affairs Minister Aleksandar Vulin, FIC President and regional Director of Nestlé Adriatic, Yana Mikhailova, FIC Vice President and CEO of Delhaize Serbia, John Kyritsis, FIC Vice President and CEO of Lafarge Serbia, Dimitrije Knjeginjić, and members of the FIC Board of Directors: Thanos Trimis, Regional Manager at British American Tobacco for Serbia, Montenegro and Bosnia-Herzegovina; Đorđe Koprivica, CFO at Carlsberg Serbia; Ivan Rakić, Partner and Tax Department Head at Ernst & Young; Silvia Vernetti-Blina, General Manger of Fiat Chrysler Automobiles Serbia; Vladislav Lalić, Regional Development Director at IKEA Serbia; Michail Orfanudakis, Commercial Director of Pepsico Western Balkans; Goran Pitić, CEO at Societe Generale Bank Serbia; Ingeborg Ofsthus, Telenor Serbia CEO, and FIC Executive Director Ana Firtel.